Terrify yourself with these pants-wetting first-person horror treats! Outlast is a first-person horror game widely praised for its immersive psychiatric hospital setting and ability to invoke sheer terror via basic but creative game mechanics, including its now-famous ‘viewfinder’ perspective. You play as Miles Upshur, an investigative reporter hoping to uncover the disturbing truth behind Mount Massive Asylum. Things soon descend into chaos when Miles finds himself hunted by deranged lunatics. Armed only with a notebook and camcorder, you must guide Miles to run and hide his way through foreboding corridors and abandoned rooms, trying to survive the unfurling nightmare. First-person horror games like Outlast thrive on building an insidious sense of vulnerability. 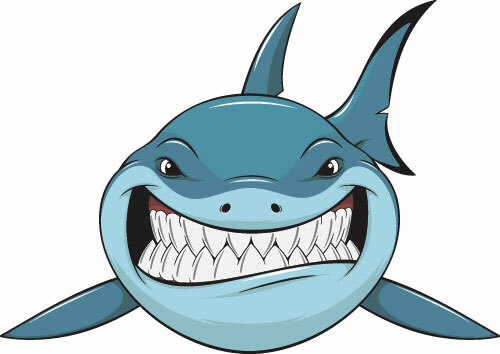 feeding off our fears of lurking dangers hiding in the darkness. While eagerly waiting for Outlast 2 later this year, check out our list of 10 First Person Horror Games Like Outlast bound to keep you terrified in the meantime. Each game must be played from the first-person perspective. Makes you feel vulnerable to danger (either real or implied). Some weapons are allowed, though they must not feel too overpowered. Set in an oppressive, fright-inducing environment. Slight preference for (semi-)recently released games over older titles. Nonetheless, some classics have still been included. None of these games like Outlast are absolute analogues to Miles’ terrifying nightmare. Still, all of them contain plenty of terror-fic thrills that’ll delight most fans of the franchise. Be sure to also check out our Honorable Mentions for more similar games beyond the main ten. Developed by the same folks who made Amnesia, Soma is both incredibly atmospheric and driven by an excellent horror / sci-fi storyline (one of the best of the genre in recent years). On the outside, the game’s abandoned underwater facility might remind some of the original Bioshock. However, delve deeper and you’ll find that Soma shares much more in common with Outlast. Like Outlast, there’s a persistent sense of vulnerability as you creep down lonely corridors trying to avoid murderous mutated creatures. There are also no weapons in Soma so you’ll be spending lots of time running and hiding. You’ll also solve a few simple puzzles along the way. Best of all, Soma’s narrative is surprisingly existential in tone, raising profound questions on what it means to be ‘truly human’. A definite must-play for anyone remotely a fan of games like Outlast. Speaking of Amnesia…. 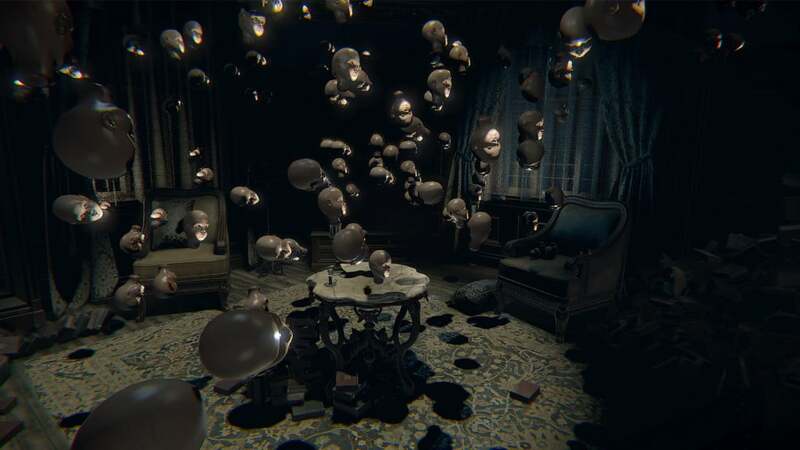 this first-person horror game shares a lot in common with Outlast. Like Outlast, you’ll flee and hide from vicious foes, with no weapons to help. Amnesia traps you in the dark halls of an old castle crawling with creepy corridors and rooms, much like Outlast’s asylum. The game does have an innovative ‘sanity meter’ not seen in Outlast that starts to peak if you remain in the dark or stare directly at monsters for too long. Differences notwithstanding, Amnesia stands strong among other survival horror games like Outlast. Also check out the sequel, Amnesia: A Machine for Pigs, which has admittedly received less favorable reviews compared to the original. 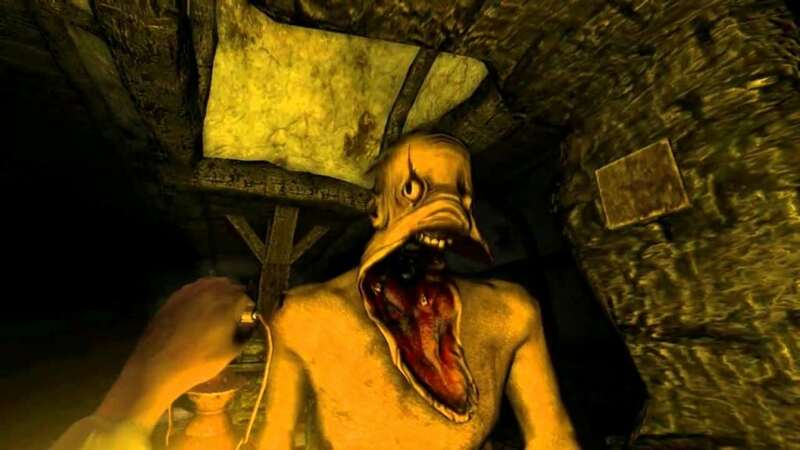 Read more honest player reviews of Amnesia: The Dark Descent. You play as Philip, a man looking to get to the bottom of his father’s mysterious disappearance. 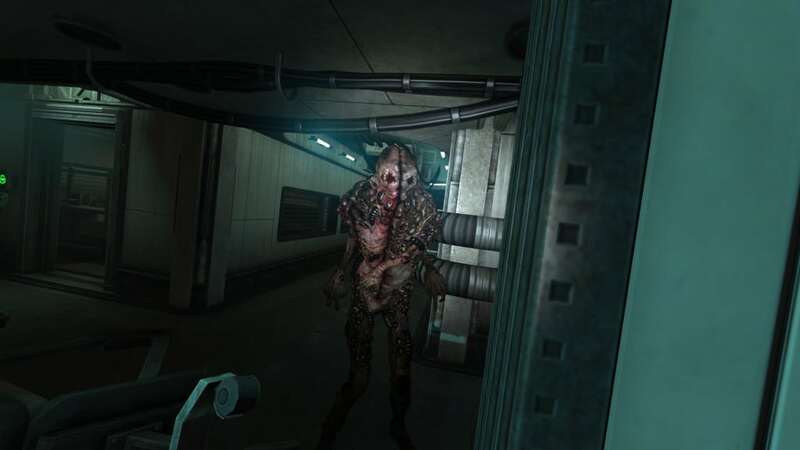 The game is set in an underground research base rife with zombie-ish creatures hungry for… you. 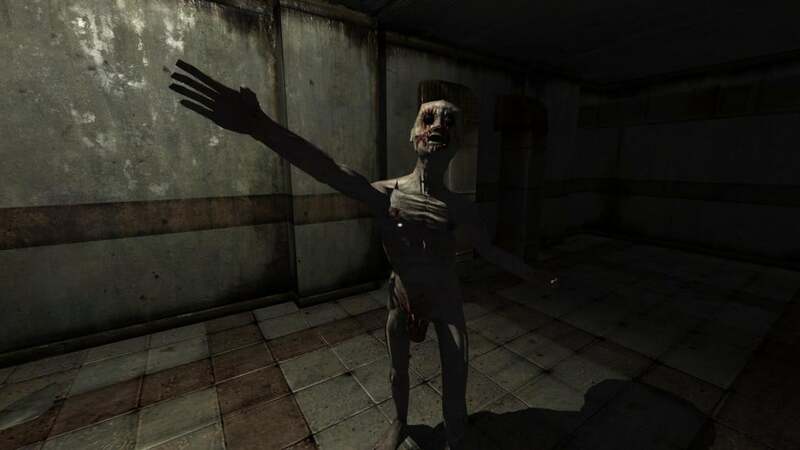 Unlike the first installment of the series, direct fights are replaced with a heart-pounding ‘run and hide’ mechanic similar to a few other horror games like Outlast. Most of all, Penumbra: Black Plague unfolds as a horrific paradox: it has puzzles that force you think… yet fills you with a fear that keeps you from thinking straight. Brilliant! Read more honest player reviews of Penumbra: Black Plague. Layers of Fear twists the perspective of Outlast, where you play as a maniacal painter instead of running from psychopaths. Like Outlast, the game nails its immersive horror setting. You’ll make your way around a decaying house as rooms and corridors mysteriously morph in appearance (akin to the abandoned Silent Hill P.T. project). There’re also lots of jump scares, some more effective than others. Like Outlast, there are no weapons; instead, basic exploration and puzzles are the key focus. However, unlike Outlast, you’re never really hunted by anything. This means there’s no real need to run and hide (though shocking visuals will still keep you on edge). Despite an over-reliance on clichéd horror tropes, Layers of Fear is most definitely worth checking out for fans of first-person horror games like Outlast. Read more honest player reviews of Layers of Fear. On the surface, Alien: Isolation and Outlast don’t seem to share much in common – but there’s a good reason why these two games are often compared to each other. You play as Amanda Ripley who sets out onto a remote space station to discover the truth behind her mother’s (Ellen Ripley) disappearance. 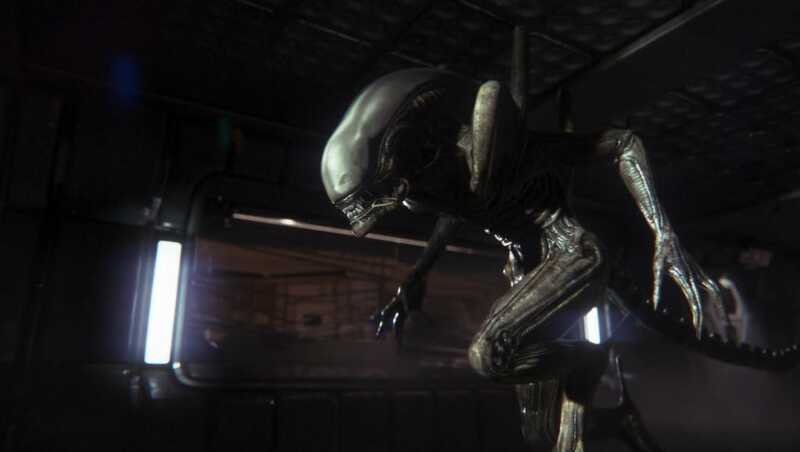 Unlike Outlast, Alien: Isolation does arm you with a handful of foe-killing weapons and gadgets. However, these do little to curb your terrifying sense of vulnerability. For starters, you’re constantly being hunted by a treacherous Alien able to kill you almost instantly if it spots you. Thus, like Outlast, you’ll be sneaking down dimly-lit corridors and trembling for minutes under a table trying to avoid detection. 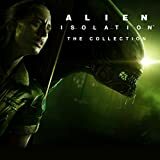 In short, if you’re searching for horror games like Outlast that ooze frightful immersion, look no further than Alien: Isolation! Read more honest player reviews of Alien: Isolation.